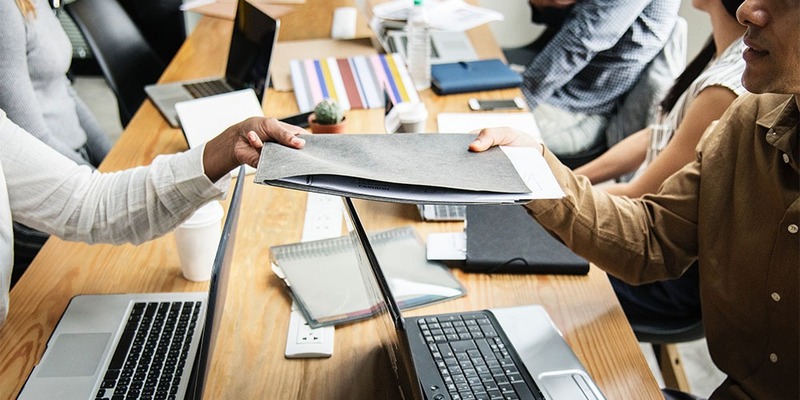 Tips from THE CASH FLOW GROUP a South Florida collection agency, When it comes to companies that owe you money there are two basic types, those who won’t pay and those who can’t pay. With a company that can pay, but won’t, either because they are unhappy with the work or simply want to get away without paying, it’s best to act quickly. If a company is attempting to cheat or defraud you, your best course of action is to send them to a South Florida collection agency, as quickly as possible. However, if a company wants to pay you but is having a cash flow or other financial problem, you may want to consider making a deal. The first step in deciding whether or not to consider a deal is to get a thorough understanding of the nature of the company’s financial problems. Ideally, you would start to notice signs of financial problems with a company before the invoice was due. That way you could be prepared and even discuss the problem before the payment is late. But, if an invoice is going unpaid, especially from a formerly trusted client, you may want to get on the phone and find out what’s going on. It’s likely that your contact in Accounts Payable, or on your project, will not be willing, or able, to share the full scope of the issue. In this case, you’ll want to speak with an executive or owner, someone qualified and able to share details. The most compelling reason to make a deal is if a deal is the only way you’ll receive any of the money that you’re owed. If a company is on the verge of bankruptcy or closure, a deal may be your only choice for getting paid. If, however, the company is experiencing a temporary cash flow problem or is likely to rebound, you may want to negotiate a new payment date and add fees or interest. Be careful though, plans to recover from a financial problem are never a sure thing. By agreeing to wait to be paid you could wind up losing the short window of time in which you could be paid. Once a company goes to bankruptcy you are unlikely to ever recoup your money. Deciding when, how, or whether to make a deal for owed money is complicated. Most people simply do not have the legal or professional expertise to know when it is and isn’t a good idea. That’s why we always recommend consulting with a professional commercial South Florida collection agency. A reputable commercial South Florida collection agency is trained to get you more of the money you are owed than you can on your own and can save you time and irritation. If you have an account that you’re considering making a deal on, give The Cash Flow Group a call first. The Cash Flow Group’s goal is to try to recover your money without going to court. Yet, sometimes litigation is necessary. Clients often wonder if they can add our collection fees to the collected amount. These costs can add in specific situations. A contract between the parties that states collection fees are due in the event of late payment. After this, collection fees apply. Keep in mind that having this provision on your invoices may not be enough. Many states need you to have a document signed by your customer. This document needs to be indicating they agree to this specific provision. The Credit Application is the generally the best document in which to place this term. Attorney fees apply if there is an attorney fee provision in a contract. There are some cases where the attorney fees are not in the contract. The judge has some discretion on whether to add those fees or not. In many jurisdictions, the are basing the attorney fee award on a schedule. The award is not based on the contingency rate. First, you need to collect 100% of principal, interest and court costs. That is even if attorney fees are being awarded and added to the judgement. A percentage of litigation cases result in a voluntary payment for reduced a mounts. Because of this, it is rare to collect 100% of the original judgment amount. The amount includes interest and court costs in settled cases. Thus, we often do not collect attorney fees even if they are being awarded. Some contingency attorneys we work with structure their quotes. In these quotes, they get to keep 100% of any attorney fees. These fees are being awarded and collected. This is after all principal, interest and court costs are now recovered. Their logic is this extra incentive to collect the attorney fee award. They keep the award in full. It gives them incentive to get the interest and court costs on top of principal. This way they can then pursue this ‘bonus’ for themselves. Clients have control over two things. Whether to accept voluntary settlements or to pursue court ordered judgment collection efforts. But, this extra incentive for attorneys can help our clients. These are a lot of factors to consider. As a result, keep this in mind when using a contingency attorney. Never expect any recovery of attorney fees when considering whether to sue or not. Collection costs are not generally included in a judgment. But, a judge will generally include several things. These are pre-judgment interest, post – judgment interest, and initial court costs. When is pre-judgement calculated? It is calculating from the original due date to the date the judgment is being issued. Either the interest rate stated on invoices or in a contract. If there is no mention of interest on the invoices or in the contract, then a judge may use the statutory rate. The statutory rate is different for each state, but is often between 6% and 10%. The judge may determine that the creditor is not entitled to pre-judgment interest. This is if there was no mention of interest in the agreement between the parties. Post-judgment interest generally depends on the same criteria. It also accrues from the date of the judgment until paid. Sometimes the interest rate on invoices or in contracts are high or above the usury limit. The judge may now allow it or may limit interest to a lower rate. Pre-Litigation: Collecting Interest and Collection Fees You may wonder why we rarely collect interest or collection fees even when they are in the contract. The bottom line is that if a debtor offers to pay the principal balance in full on a voluntary basis, but only if our client waives interest and collection fees, we have never had a client reject this offer and instead litigate. Litigation has up-front costs, can take months to years, has a higher contingency rate, and an uncertain outcome. The right business decision is to take the voluntary payment of principal only, instead of pursuing more amounts through the courts. Other collection agencies may tell you that they get interest and collection fees on a regular basis. If they are collecting credit card debt, where these fees are the creditor’s business model and the consumer knows that up front, the debtor expects to pay interest and will. But on standard B2B claims, all collection agencies run into the same issue of a business negotiating to not to have to pay fees. It’s frustrating to have spent months trying to collect money and to know that you are entitled to interest and fees that you may not be able to collect. If you need help with a Collection Fee please contact The Cash Flow Group. What is one of the biggest mistakes you can make? People try to collect an unpaid debt while communicating in an unprofessional manner. Being in debt and collecting debt can both be stressful situations. There are many laws around debt communications. No gum chewing, eating, or web surfing while calling. Use please and thank you, and introduce yourself. One trick receptionists have used for years is to smile while on the phone. Call at the right time of day. Some people work mornings, others don’t come into the office until the afternoon. By knowing when the debtor is available to talk on the phone, you can avoid playing phone tag. Ask the debtor what time they are generally available. Doing this can save a significant amount of time. Take notes or record conversations. If you are going to record a conversation, you must get permission first. But taking notes can be effective. By keeping a log of any agreements or issues, you can avoid repeating what you have already said. After the call, send an email summarizing the conversation and any commitments so there are no disagreements later. Be careful about leaving messages. It is very important that debt collectors never disclose private information. As a general rule when collecting from individuals, collectors should assume that any voicemail messages they leave will be heard by somebody other than the debtor. If it is a business debt, full detail can be left on any business phone number and personal phone known to belong to a involved party. Having unpaid bills is stressful. It is not helpful to blame the debtor or imply that they have failed by not upholding their commitment to pay. Doing so will only make them upset and less willing to pay. Speak and find out why the debtor hasn’t paid their bills, and then try to work towards a solution to the problem. If they have a complaint about the product or service, find out why and try to resolve the complaint. If the customer doesn’t have the money at that time, ask them to prove this and have them suggest a solution. Forcing the debtor into a payment plan they know will default on will likely cause the debtor to be less interested in working with you. Although phone conversations are the preferred method for discussing unpaid debt, email also has an important role to play, especially when documents are being requested or sent, a paper trail is needed, or for quick follow ups and reminders. If you can’t write, don’t. Everybody knows their own skill set. If you are not a good writer, please do not write your own emails. Instead consider hiring an in-house or freelance copywriter to create a set of email templates for you that will help you communicate. Because tone of voice is so hard to determine in an email it’s especially important that you be polite and professional. Do not attempt to joke or be lighthearted about the situation. Keep your messages short and ensure they only emphasize the point you want. Shorter emails are more likely to be read in their entirety, and if you make the message you want to send to the recipient very clear they’ll be sure to get the point. Being polite also includes responding to emails on time. If you want someone to respond to your emails, you must do the same for them. Create a factual and short subject line. Your recipient will be far more likely to open the email if they know what it’s about. Don’t send the message to people who don’t need to see it. Remember that any email communication can be used in a lawsuit if the debtor sues you for disclosing information to parties against regulation (especially in the case of consumer collections). Email communications are permanent, and the debtor will be able to find a copy of the message stored online with ease. Communications are one of the tricky elements that sometimes makes it easier to hire a professional collection agency. If you’re having trouble finding the right way to talk to debtors, please give us a call. When it comes to companies that owe you money there are two basic types, those who won’t pay and those who can’t pay. With a company that can pay, but won’t, either because they are unhappy with the work or want to get away without paying, it’s best to act . If a company is attempting to cheat or defraud you, your best course of action is to send them to a collection agency, as as possible. Yet, if a company wants to pay you but is having a cash flow or other financial problem, you may want to consider making a deal. The first step in deciding whether to consider a deal is to get a thorough understanding of the nature of the company’s financial problems. , you would start to notice signs of financial problems with a company before the invoice was due. That way you could be ready and even discuss the problem before the payment is late. But, if an invoice is going unpaid, especially from a trusted client, you may want to get on the phone and find out what’s going on. It’s likely that your contact in Accounts Payable, or on your project, will not be willing, or able, to share the full scope of the issue. In this case, you’ll want to speak with an executive or owner, someone qualified and able to share details. Sometimes making a deal is the only way to receive payments. If a company is on the verge of bankruptcy or closure, a deal may be your only choice for getting paid. If the company is experiencing a temporary cash flow problem, you may want to negotiate a new payment date and add fees or interest. Be careful though, plans to recover from a financial problem are never a sure thing. By agreeing to wait for payment you could lose time in which you could receive. Once a company goes to bankruptcy you are unlikely to ever recoup your money. Deciding when, how, or whether to make a deal for owed money can be overwhelming. Most people do not have the legal or professional expertise to know when it is and isn’t a good idea. That’s why we always recommend consulting with a professional commercial collection agency. A commercial collection agency will help get the money you’re owed. If you have an account that you’re considering making a deal on, give us a call first. Commercial debt collections involves collection between a business (creditor), and a consumer (debtor. Debt collections like those are more governed than its counterparts. To begin with, there are state laws controlling debt collection. For example, in Florida, collection agencies can operate without licenses in the state. This goes for collectors and debt buyers as well. A sole proprietor business can still collect a debt. Make sure that your business is not doing other business within the state. What is the purpose of the Fair Debt Collection Practices Act? Also, ensures the privacy of debtors is still protected. The FDCPA is now codified and amended to watch out for and prevent abusive practices. It is also designed to provide consumers with a venue to air their disputes. It has penalties enacted on distressing collectors. Finally, the FDCPA provides validation of accurate debt information. FDCPA scrutinizes the collection activities of consumer debt collection agencies. It ensures that agencies don’t use abusive and deceptive tactics towards debtors. One of the advantages to hiring a collection company is their knowledge of laws. These laws pertain to your case. Collecting debts on your own, while staying within the laws, can be a daunting task. This is especially true when dealing with consumer debt collection. Commercial debt collections is also called business-to-business debt collection. It involves debt payment from one business to another. This is assuming two things. That businesses are now sophisticated. They need to have discipline to comprehend their own rights and financial duties. Thus, commercial debt collection is much less controlled. FDCPA does not apply to commercial debt recovery. This allows agencies to take a different approach to each claim. The secret here boils down to the skills of the debt collector. Consumer debt collectors have different skills compared to commercial debt collectors. Not all who start from consumer debt collection are able to adapt to commercial debt collection. This is because commercial collection agencies are now specialized. Part of a collectors job is to balance relationships. Recover money from the client’s debtor. But, do this while maintaining a good relationship between the client and customer. Yet, there are agencies that handle collections both from individuals and from businesses. Which Is Easier To Collect? There are pros and cons to collecting each type of debt. Consumer debt involves compacted laws and regulations. Commercial debt collection may need specialty skills or an effort to maintain a relationship with the client. Either way, debt collection is often complicated. Anyone attempting to collect debts can generally enjoy the help of an experienced collection firm. Are you uncertain whether your debtor will pay your unpaid debt? Or did you run out of ways to effect debt recovery? It’s a very cumbersome task to recover past due receivables. The Cash Flow Group utilizes a unique blend of techniques. We incorporate phone calls, strong written communication skills and litigation. Sometimes traditional collection methods fail. We and our debt collection attorneys will then deploy advanced collection techniques. Below are some of the methods we use to collect outstanding monies. These debt recovery techniques will help you recover your money immediately. Ask for payment in full. If the debtor refuses to pay the entire debt, determine what the problem is. The debtor’s priorities may be other creditors get paid or their cash flow may be poor. Make sure your outstanding receivables are his or her priority. Strong written communication when it pertains to debt collection is essential. Deploy invoices. Also deploy firm and professional demand letters when asking for immediate payment. The goal is to get the debtor’s attention and to avoid any misunderstandings. You want to get paid-in-full as quick as possible. Make it clear to the debtor company when the bill needs to get paid, and any charges applicable. In some cases make the consequences clear for not paying. In the case of non-payment, taking strong legal action against the debtor may be the best course of action. This is if all else fails. 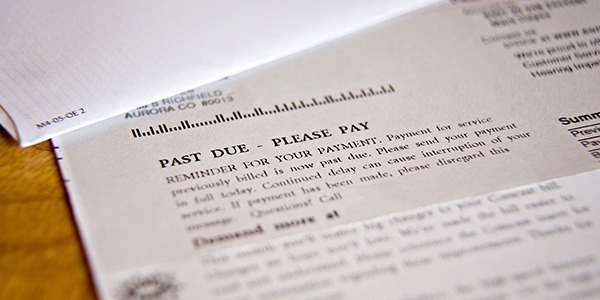 We recommend that you use litigation only if your unpaid bill is now uncontested. If the debtor company contests the bill, it can be a no-win situation. This process will involve the presentation of legal documents and court summonings. Even though legal action is now initiated, negotiation and resolution are still possible. This can be the best path towards debt recovery. These are just a few techniques from The Cash Flow Group. Please contact us if you have any further questions or concerns. We are here for you! Should You Lend Money Friends or Family? Debt collection is The Cash Flow Group’s specialty and we are here to help! 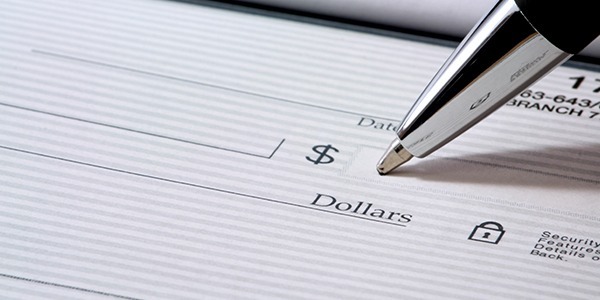 It is a well-known rule that lending money to family members or friends is a “no”. Shakespeare admonishes us with his immortal words, “Neither a borrower nor a lender be.” It is the words that follow that inform us of the consequences, “For loan oft loses itself and friend.” If you loan money to a friend or family member, you can expect to lose both the money and the relationship. According to a money-etiquette survey, 57% of people had a relationship ruined this way. Still, many people who are in a position to help, feel compelled to. Especially when close friends or family is in need. This does not have to be a bad thing as long as you go about it with your eyes open. What’s More Important – Repayment or the Relationship? If someone approaches you for a loan, chances are they aren’t creditworthy to qualify for a loan from a lender. So, you know going into it you are taking on the risk of not seeing all or some of the money again. The question is whether repayment of the loan or the relationship is more important to you. What happens when the borrower gets behind on payments or no longer returns your calls. Know in advance how you would handle this situation. You can expect things to get very awkward, especially if the person is at family events or around town. So, if you value the relationship, you can treat the loan like a gift. The person will likely try to repay you as if it was a loan, but the pressure is off the relationship. While you may have the right intent, you may be hurting the very person you are trying help. This person may need money to cover basic living needs or to pay off credit card debt. In some cases, loaning them money may only exacerbate their financial problems. What they might need is financial counseling. They may also need help with finding alternative sources of income. If you do loan them money, do so under the condition they seek the help they need to turn things around. The problem with loaning money to a friend is they are often open-ended based on a handshake. A handshake has no specific terms for repayment. That leaves both parties in a state of limbo with no expectations to when the loan is to be repaid. It also creates a false notion in the mind of the borrower that there is no sense of urgency to repay the loan. You need to have clear expectations or specific loan terms. Approaching the borrower about payments becomes difficult without terms. If you are going to loan money, put it in writing with specific terms. Is the Loan IRS Compliant? Lending money to family or friends is often interest free, which is not a good idea. First, it diminishes the value you place on the money you loan someone; second, it could put you at odds with the IRS. Charging interest is not unreasonable, especially when it at below-market rates. The IRS expects you to charge interest on a family loan if you don’t want it to be a gift for tax purposes. The IRS doesn’t care about small loans made to children. Loans of $10,000 or less are not subject to gift tax rules if they are not used for investments. Larger loans could show up on the IRS radar if appropriate interest is not charged. You need to avoid treatment as a taxable gift. To do this, the loan needs to be in writing with the amoung terms, and rate of interest. Define all these things. The IRS requires a charged interest rate which is now reported as income by the lender. If the loan is being made for a down payment on a house, the borrower may deduct interest charges. Secure this loan by a lien on the home. One alternative is to say “no.” That may be hard to do, but, in some cases, it could be the right thing to do. Or, you can say “yes,” but with conditions. First, is that they at least try to have a personal loan on their own. We know you don’t want them to get stuck with a “payday” type loan. There are alternative lending sources. These sources can offer a priced personal loans for people with less than good credit. The Cash Flow Group is here to answer any questions or concerns you might have about loaning money. Contact us today! Other companies hire debt collection agencies to collect for them, called third party agencies. Or, they sell their debt to a collection agency, meaning the original creditor no longer owns the debt. Either way, the collection agency is contacting you for a reason and you cannot bypass them. The good news is, however, that most collection agencies make it as easy as possible to pay back a debt. When a debt goes into collections, it has most likely already negatively impacted your credit score. When you refuse to work with a collector, it can cause further damage. It’s best to pay your bills on time and avoid collections altogether, but if you are contacted by a collector, just cooperate and pay or explain your situation. It’s a collector’s job to resolve debt, so they are most likely willing to work with you and figure out some options for how you can pay the debt. Avoiding collection calls will only make the situation worse and damage your credit score. Plus, collectors can help by giving you options to repay your debt. It’s best to cooperate with collectors and try to explain your situation. According to Investopedia, the Fair Debt Collection Practices Act (FDCPA) is “a federal law that limits the behavior and actions of third-party debt collectors who are attempting to collect debts on behalf of another person or entity.” In short, the FPCPA protects debtors from abusive, unfair or deceptive debt collectors. However, the FDCPA only protects consumer debtors, not commercial debtors. Although there are currently no federal laws controlling commercial debt collection, most states have statutes which govern commercial debt collection. 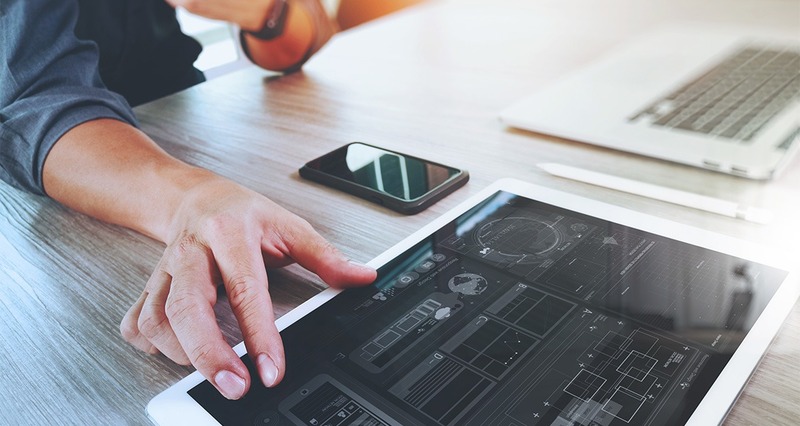 While some agencies don’t bother with smaller amounts, others specialize in collecting smaller amounts of debt because it can add up over time to create good revenue. There’s no way to tell if a debt will go into collections or not. Basically, anything can go into collections and harm your credit score. It’s best to just pay what you owe. Debt collectors’ jobs are to resolve debt, not just collect it.They will work with you on payment plans, recommend programs to get out of debt. So, if you’re contacted by a debt collector, see what your options are and what they can do to help. Most collection agencies operate on a contingency-fee basis, meaning if they don’t collect, you don’t pay. Others will charge a flat fee. When you hire a collection agency you are hiring experts who can increase their sales by collecting more money for their customers. Contact The Cash Flow Group for any questions you may have about collections! We are here to help. If your business uses a cash basis accounting system, this isn’t an issue for you. In a cash basis accounting system, you don’t count money that you’re owed until it’s paid to you. You can still write off any expenses related to an unpaid invoice, but you do not owe taxes on any unpaid income. If you are a large company this also is unlikely to be an issue for you. Large companies tend to use a reserve form of accounting and have a “bad debt reserve” to which they apply bad debts. However, if you are neither a very large or very small company, you most likely file your taxes on an accrual basis. In accrual basis accounting, the unpaid invoice shows up as income on which you owe taxes. However, if you never collect that money, you can write off the amount as a bad debt expense. It is usually best to take your write off as soon as possible so that you get the tax deduction now, instead of later. The only time taking the deduction later would be better is if you are expecting to be in a higher tax bracket later on. This is primarily a concern for sole proprietors and S corporations, whose annual income fluctuates more widely. However, even if you expect to change tax brackets, you can not randomly decide when to write off debts. There are no hard and fast tax rules about when you can consider a debt “uncollectible,” but the IRS does like to see consistency in your tax filing methods. Generally, it’s hard to justify classifying a debt as “uncollectible” if the debt has been owed for less than 90 days. But, some warning signs that a debt may be uncollectible, even if it’s been less than 90 days, include a company declaring bankruptcy, a company refusing to answer communication, a company stating that they will not pay you, or a company simply disappearing. Once you have turned a debt over to a collection agency, you are also justified in writing it off on your taxes. However, if the collection agency is able to collect, you will owe taxes on the amount collected. We recommend that you not wait until tax season to think about how you will collect on unpaid invoices. We advise clients to consider professional help with unpaid invoices that are 90 days or more overdue, or when they start to notice any of the warning signs that a business may not be willing or able to pay its bills. Writing off bad debt is helpful to your bottom line, but what’s more helpful is actually collecting on that debt. For example, imagine that your company is in the 33% tax bracket and a company owes you $10,000. If you write that off as bad debt, you’ll save $3,300 in taxes. However, if you hire a reputable collection agency that charges 20% of the amount collected, you could get $8,000. Earning $8,000 is clearly better than saving $3,300. At The Cash Flow Group, our goal is to make sure you are paid the money you are owed, so that you write off as few uncollectible debts as possible. Please reach out and let us know how we can help.